Griffith Review has kindly allowed republication here of the essay below by Croakey contributor Lea McInerney, which we are running as a preview to the upcoming 12th Australian Palliative Care Conference. 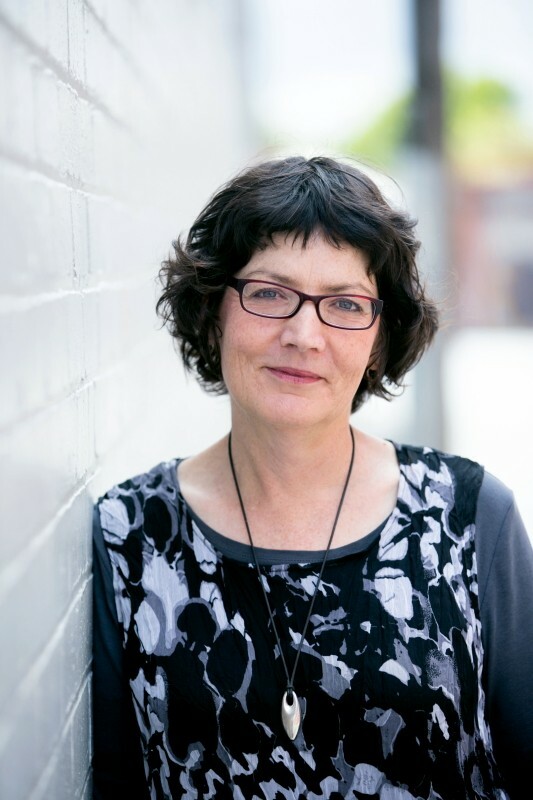 In introducing the essay, Dr Yvonne Luxford, Chief Executive Officer of Palliative Care Australia, shares her response to this “beautiful memoir”. “I immediately empathised with Lea McInerney’s first experience of the shock and pain of death coming through the television screen. This is normality in Australia – whether the real or fictional death of a celebrity – the first time we experience death’s impact is usually a stranger and often unnaturally caused. And is discussed – openly and frequently. We’ve become out of touch with death and dying in Australia. We don’t like to talk about it, we don’t make any plans for how we would like to exit this life, and death tends to happen in hospital following protracted medical interventions to keep us here for as long as possible. We definitely don’t openly discuss it with those who are dying. How can we reframe our thoughts to focus on living well as possible until the end, and to prepare our loved ones through sharing our thoughts and wishes so they might grieve more easily for us? Can palliative care help us to gain understanding and acceptance? I was in a foul mood a few weeks back. In a flash of bleak insight, I wrote on a scrap of paper: I hope I don’t die today, this would be a very bad mood to die in. When I was a small child, death was a regular event in my life, mostly as performance and play. My numerous siblings and I would line up, the current toddler in a bulky nappy waddling along at the back, ready to bury yet another mouse or a bird found in the bush near our home. With undiluted Irish Catholic ancestry, ritual was thick in our blood. We would proceed from the backyard, along the side veranda, down to the front garden, one of us carefully carrying the shoe box with the little body laid on leaves and grass cuttings, one carrying a cross made from two Popsicle sticks, one conducting the service at the graveside. I remember it now as big on ceremony and small on feeling. My first awareness of death as personally wounding came when I was eight. “Senator Kennedy has been shot,” the newsreader announced from our black and white television set. Bobby Kennedy’s death happened on my father’s birthday. Like my dad, he was the father of a lot of children. We were Catholics, so were they. That evening, I walked down the passage from the TV room to the kitchen, sat at the yellow Laminex table on my own and ran my fingers along its surface. I often did this at meal times or while doing my homework. Its cool smoothness felt the same, but I didn’t anymore. This is what death can be, I thought. Your dad could die. My parents were sad too. We knelt and prayed for the Kennedys. Solemn or silly, it was soothing and fun to repeat them over and over. That they didn’t make much sense didn’t matter. Later in life, when I became interested in etymology and the genesis of individual words, I began to realise that true origins were often obscure, and meaning slippery. But back in 1960s Australia, it was simple and certain. For the Catholic tribe I was part of, God was in Heaven, our church was “the one true Church”, capital letters were very important, and if we were good children we would go to Heaven when we died. When I finished school at seventeen I decided to do nursing, a job that would allow me to escape the small town I’d grown up in and work anywhere in the world. What I hadn’t anticipated was that it would also make me a regular witness to the extremes of life – birth, death, great joy, deep suffering. I moved to the city two hours away. Within days of starting my brand new career in a big hospital, I was kissed by a bikie with a broken leg and had to wash and wrap a dead body. In one of my first tasks, a senior nurse supervised me as I gave an unconscious patient a mouthwash. Standing next to the bed of an elderly lady, I held a moistened mouth swab and leaned towards her, poised, ready. The supervisor watched from the door – the woman had a contagious infection and anyone going into the room had to wear a protective gown and mask. But something wasn’t quite right. I waved my swab-holding hand, signalling to the supervisor to come in. Irritated, she put on a mask, poked her arms into a gown, and came over to my side. I stepped out of the way while she placed the back of her hand near the woman’s mouth to feel for her breath, then held the woman’s wrist. She shook her head. The old woman was dead. Briefly, I wondered if I’d done something to cause it. But there would be little time then, or later, for reflection, or questions, or answers. “I’ll show you how to lie her flat, then we’ll talk to the charge sister about laying her out and who can help you,” the supervisor said. In a haze, I did my other jobs, waiting for someone to help me. Finally a nurse more experienced than me was free. Together we worked, standing on either side of the bed, reading through the instructions in the ward manual, washing the woman’s body in the order suggested. By this time the old woman had been dead for several hours and as I wrote her name and hospital number in black Texta on her right leg – a task I particularly hated, and always would in the months and years after – I could feel the cool waxiness of her skin under my fingers. The hospital had a standard issue large heavy-duty brown paper bag with a thin green strip through the centre, known simply as the clothes bag. I packed the old lady’s belongings into one, and left it on a chair next to the bed. A little later, as I was crossing the corridor, running between patients, I saw an old man coming out of her room. He turned the corner into the long corridor and walked slowly to the exit on his own, gripping the clothes bag tight. Through my twenties, I often looked after people who were dying and I was present at the moment of death for some. One was an elderly woman, who lay in bed in a single hospital room, unconscious from a massive stroke the week before. Another nurse and I were attending to her, one of us holding her while the other smoothed cream over her back to keep her skin soft. The ward wasn’t busy and I decided to stay with her for a while. The room was quiet, grey-white and spare. She had few possessions and no visitors. One nephew interstate was all the family she had left. He was fond of her, but the ties had loosened with the stretch of distance and he didn’t want to leave his own family until there were more specific needs: a funeral to organise, her affairs to settle. She lay on her side, one arm on top of the sheet, head low on the pillow, hair neat and tucked behind her ears. Her eyes were closed, her jaw loose, her mouth partly open. Her breathing was laboured, but soft. I sat by her bed, watching her, sometimes cupping my hand over hers, stroking her paper-thin skin with my fingertips. She looked comfortable. After a time, she began to move. Her jaw lifted up, bringing her lips together. In one serene movement, she stretched her neck and straightened her head, took a deep breath and opened her eyes. She scanned the room, her gaze moving slowly from left to right. When her eyes met mine, she looked steadily at me, but at the same time through me, as if she was looking way beyond the walls. Her eyes completed an arc, she closed them again, her mouth relaxed and opened slightly, she stopped breathing, and died. There was no obvious fear in the room, nor prayer or ritual. I sat there, aged twenty-four, spellbound. Her peaceful death was one thing; the vision she let me glimpse through her eyes something else. Of course I couldn’t know what had happened within her or what it might mean. In the quiet with her, with no disturbances or distractions, I experienced it as something both serious and light. A last glance at life, and she was off. I had become more and more intrigued by the idea of a good death, and soon after that experience, I moved to England to specialise in palliative care, working in hospices there for a couple of years. One day I sat and watched in surprise as a similar thing happened with an old man. I had the sense that, like the old woman, he had looked a long way off, seen something that was alright, taken a deep last breath and let go. It was around this time that I started thinking more about what being human is, beyond what my religious upbringing had suggested. Are we humans who have spiritual experiences from time to time? Or are we spirits having a human experience? As I turned these questions around in my mind, a word that kept coming to me was “mystery”. Looking up its origins, I discovered it came from a Greek word which means both “to close the eyes or lips” – as in, to keep secret – and “to initiate”. Religious and spiritual people, philosophers, poets, writers and musicians regularly seek such initiation. Through the medium of their art, many became important companions to me as I worked with death and thought about life. Poet and writer, Stephen Levine, who worked with dying people for many years, has written a book about the year he spent living as if it were his last. Levine says that those familiar with the dying process, whether from experiences shared with the dying, decades of meditation, or moments of spontaneous grace, don’t speak of death as a single moment before which you’re alive and after which you’re not. Instead they talk of a point of remembrance, when holding to life transforms into letting go into death. In his view, “The heart never stops, for when it is no longer contained between opposing ventricles it expands slowly into its inherent vastness… expressing the truth it has embraced for a lifetime.” From what I had glimpsed, in those years of sitting with dying people, and then washing and wrapping their bodies after death, this made sense to me. In contrast to the mostly gentle transformations I saw in those years, I would sometimes think about how it might be for people who die violently. What happens for them in those final moments of life? I recalled stories I’d heard about women who had experienced tremendous pain in childbirth and felt themselves leave their bodies, hovering above, watchful, until the pain had ebbed and their child was safely born. This gives me strange comfort. I can hope that those who die violently are able to leave their bodies, and the pain. But doubts remain. Those spirits torn so abruptly from their experience of being human, are they reluctant to leave? Do they, for a time, try to get back? I returned to Australia and continued to work in palliative care for a few more years, mostly with people who wanted to die at home. It was rich work, but tiring, and in my thirties I had a change, doing lighter work as a social policy researcher and writer. Then in my forties, it was time to think about death again. “Were you ever scared of me?” my father asked me one day, after we had finished doing a shopping list. We were sitting side by side in two armchairs set up in his bedroom to accommodate the steady stream of visitors. Dad had cancer and was gradually sorting his sins. I saw pastoral care in action through the regular visits of his parish priest, a kind and decent bloke, who I imagined was prompting and helping Dad to make peace with himself and his god, and those of us orbiting close by. “Oh,” he replied, looking surprised, hurt and relieved all at once. Over the next few days, in between our different routines, there was a continuing conversation of words and thoughtful silences, about a difficult time when I was in my twenties, Dad in his fifties. We would share memories, go off and think about them, remember more, realise more, share more. We owed each other apologies, and the insights we both came by were a gift from the painful, honest talking that he started. Dad lived eleven months from the time of his diagnosis, and died at home, as he had wanted. I was there much of the time, sometimes his nurse, mostly his daughter. Once, in the early stages, he asked me what the last days and weeks would be like, what he could expect. I took my mind back to hospice days and described the gradual ebbing of life I had often seen. “Yes,” I said, as he lightly stroked the back of my hand with his fingertips. During those days, he sought touch much more. Later, when he was in bed all the time and knew death was close, Dad said, “Those poor fellows on the battlefields, dying alone, I wish they could have had someone with them too.” Another time he talked about an Aboriginal man who had lived in the town with his young family, and whose wife had died in childbirth. Thirty years on, my dad’s sadness for him was still palpable. Physically weak, he couldn’t answer with words and now, years later, I wonder if it was wholehearted love that I saw on his face – love for me, and the rest of his big family, and soldiers alone on battlefields, and heart-broken Aboriginal men. I had thought he was seeing visions, but that sounds religious and his expression was totally alive and beyond religious imagery to me. I wonder if what he was seeing, and letting me see, was myself and all of us through an undefended, pure love, the opaqueness caused by a lifetime’s misunderstandings and missed opportunities fallen away in those moments. On the day he died, Mum and several of us were with him, and his priest stood at the foot of the bed reciting the Hail Mary. “Pray for us sinners now and at the hour of our death”. This was as Dad had wanted. I would have preferred silence though, and to touch his hand with my fingertips, as his heart unmoored itself and filled the sky. After Dad died, I spent days and weeks in that strange place known as grief, trying to find him. I kept going back to the moment of his death, thinking that if I could just do one thing differently – what thing, I hadn’t yet worked out – he would come back, or still be here, or something. I was shocked by the completeness of his going. I had spent years working with dying people, and thinking about death and dying. Perhaps I thought it might inoculate me in some way. A few weeks after his death, I went to the cemetery ten minutes’ drive away. Mum had a red rose bush in bloom by the side gate, and I picked one to take with me. I stood by his grave searching my brain, trying to work out what I was feeling, what I should be feeling, whether what I was feeling was what I thought I should be feeling. Dad had a lovely wit and was always strong in a crisis. He could be uptight in a non-crisis, or make a crisis of something that wasn’t one, but he was definitely very calm, centred and strong when something truly awful was going on – his kids drinking kerosene, setting fire to car seats, choking on apple peel; Mum ill for a while. Around him in those times, I always had the sense that we would get through whatever it was that was happening, that it would all be alright. These two qualities, his wit and calm lightness in the face of true difficulties, came to me this day, as I stood at his grave with my red rose, trying to be suitably sombre and meaningful. As I bent over to poke the stem in the dirt, I heard him speaking behind me. I knew he wasn’t actually there, but his presence was clear, his voice mischievous and loving as he said, “And rose from the dead.” I cracked up laughing. I still miss him, and did terribly for a time. Two years after his death, when his absence tore through me one day as I sat at my computer, alone in my home office, I wrote an email. “Some days I just hate it so much that Dad has died.” It’s still there in the drafts box. Looking out the window at the big sky I can see from my upstairs room, she carved an arc in the air with her arm, gathering up the big expanse of the universe, and said she believes we are all part of this. Our form changes in cycles of life and death, but the essential self of each of us remains. Stars in the sky. We have dreams for love, for making a home, for making a difference, for making a beautiful life. What about a dream for death, for this important moment, in all its terrible beauty? • For more long reads from Griffith Review, see here. • You can follow Croakey’s coverage of the conference here.